This is your opportunity to spoil your guests by wining and dining them and putting on a party of a lifetime! Ensure the reception is nothing short of fantastic by choosing the perfect venue! Start off by thinking of the type of wedding you want to have. Indoor? Outdoor? Formal? Casual? Then find a venue that expresses your individuality and has the atmosphere you believe best suits your style. 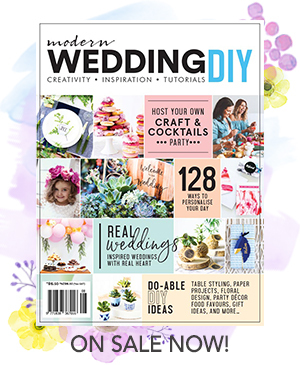 Browse through wedding venues on the Modern Wedding Supplier Directory where you’ll find images of the venue and contact information. Save your favourites using the Supplier Shortlist tool. You can also draw ideas and inspiration for your own wedding venue from the featured real weddings on our blog. Always make an appointment before going to visit a wedding venue. The wedding venue operator should give you a tour, show you menus and tell you about different packages. After you have made your appointment go through our Wedding Venue Checklist and ensure that your possible venue makes the cut. Hosting your party outdoors makes sense if the weather’s warm and you have a lot of guests. But you can’t just set up a party anywhere. You need to consider a number of factors like site facilities, parking, disabled access, wildlife and possible restrictions. Check out our guide to Planning a Wedding Outdoors for more information. Once you decide on a wedding venue, get all the details of the package in writing – signed, witnessed and dated. Include overtime rates, inclusions and exclusions, restrictions, special conditions, cancellation fees and conditions, and the payment schedule. Once you’ve chosen a wedding venue and negotiated a great package - it’s time to decide or define your wedding theme and start collecting wedding ideas! From the Bahamas, to Greece and beyond we’ve done the research. Take our quiz to find out which destination wedding venue is perfect for you!